This Wednesday, RenoCross makes its debut after the race and Interbike moved from Las Vegas to the biggest little city in the world. 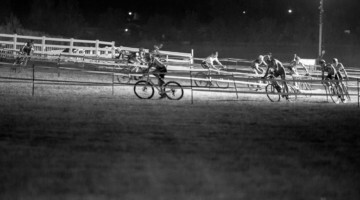 RenoCross will be held at Rancho San Rafael Park, which was the host for the 2018 National Championships, under the director of the Reno Cyclocross organization. Race director Coby Rowe and his organization purchased the race from Brook Watts after Watts oversaw an 11-year run of Cross Vegas in Sin City. 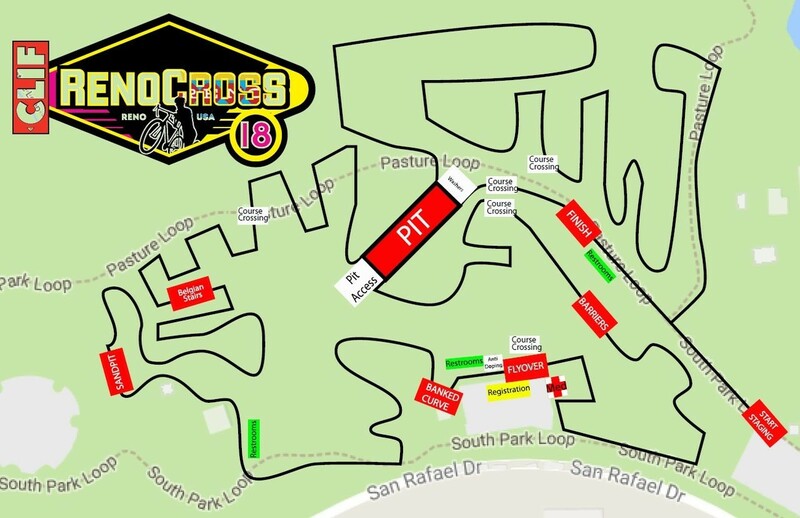 One thing we were definitely curious about for this year’s RenoCross was how the course would be laid out. The course at Reno Nationals was fairly spread out and took advantage of the large hill in the northeast corner of the park. With the race taking place at night, using parts of the park that lights can reach became a major consideration for the organizers. 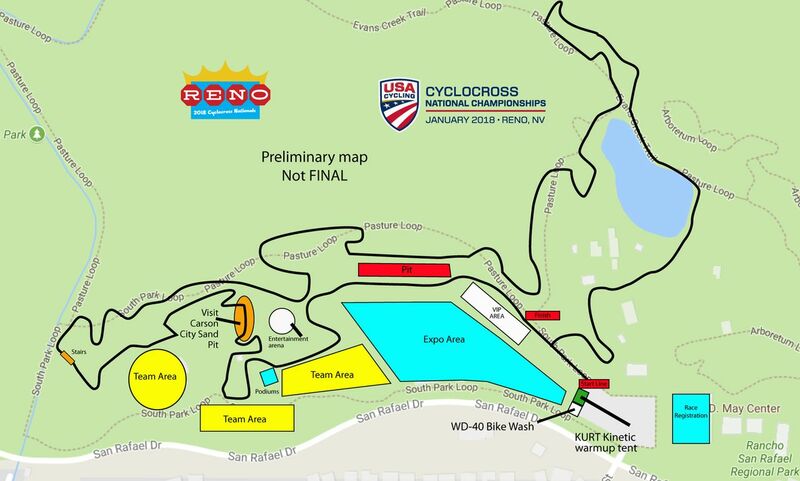 The RenoCross course is much more compact than the one at Reno Nationals. 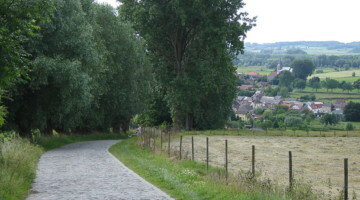 The sand pit now represents the furthest west point of the course, whereas the Nationals course out past the parking lot to the Belgian stairs. 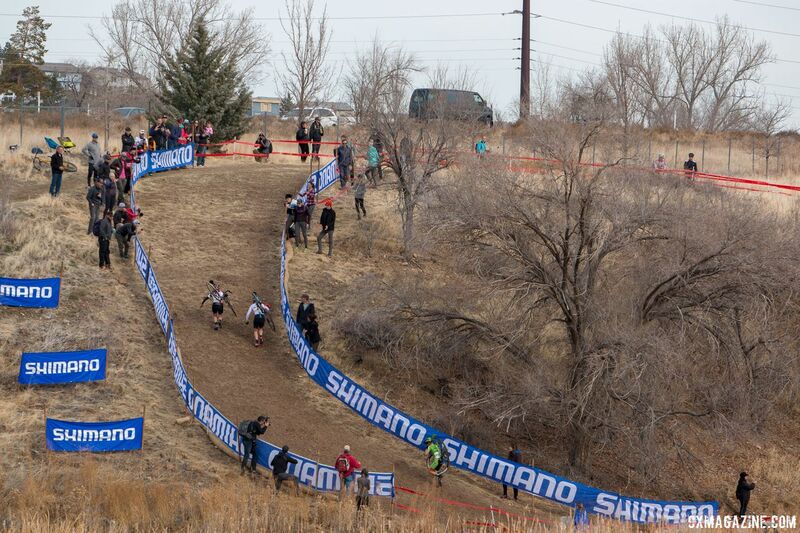 The “Pasture Loop” on the map was the elevated hardpack section where the start/finish straight was located. The maze of turns in the northeast part of the layout represents the biggest addition to this year’s layout. 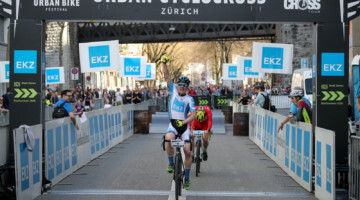 The other big question we had was who was going to show up for the UCI C1 race. 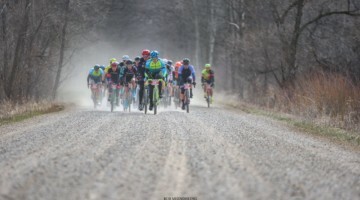 With racing in Waterloo, Wisconsin starting on Friday, travel and scheduling is difficult for those hoping to do both. A look at the Women’s and Men’s start lists shows impressive fields for both races. 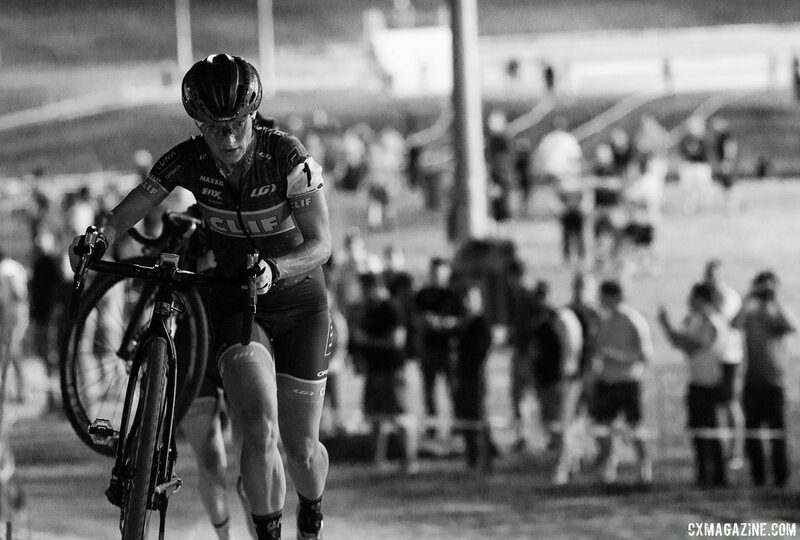 With Clif back as a sponsor, Katerina Nash (Clif Pro Team) will be looking to become the all-time leader in RenoCross (1) and Cross Vegas (5) wins. 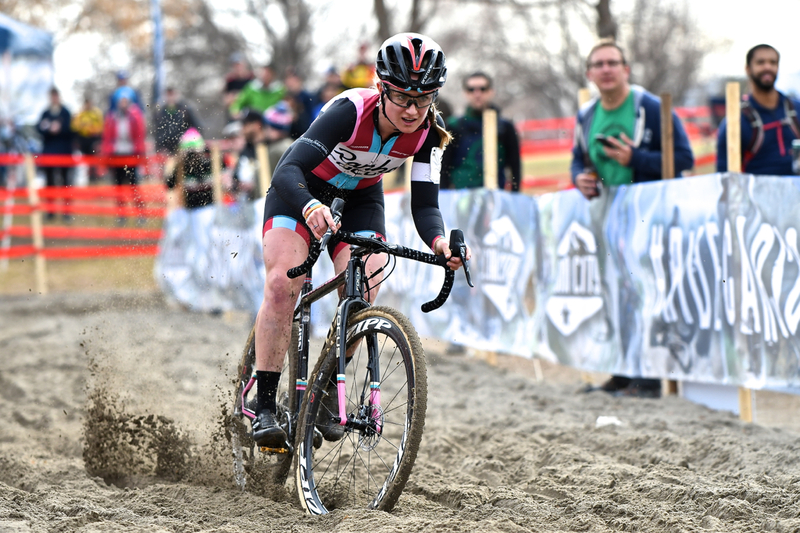 Women’s starters also include 8 of the top 15 finishers at the 2018 U.S. Nationals and former and current U.S. and Canadian national champions. On the Men’s side, the field is headlined by Jeremy Powers (Pactimo-Fuji-SRAM), Tobin Ortenblad (Santa Cruz / Donkey Label Racing) and Michael van den Ham (Garneau-Easton p/b Transitions LifeCare). Other starters also include top U.S. Nationals finishers and U.S. and Canadian national champions. The full start lists are below. Women race at 7:25 p.m. PDT and the men start at 8:30 p.m. PDT. 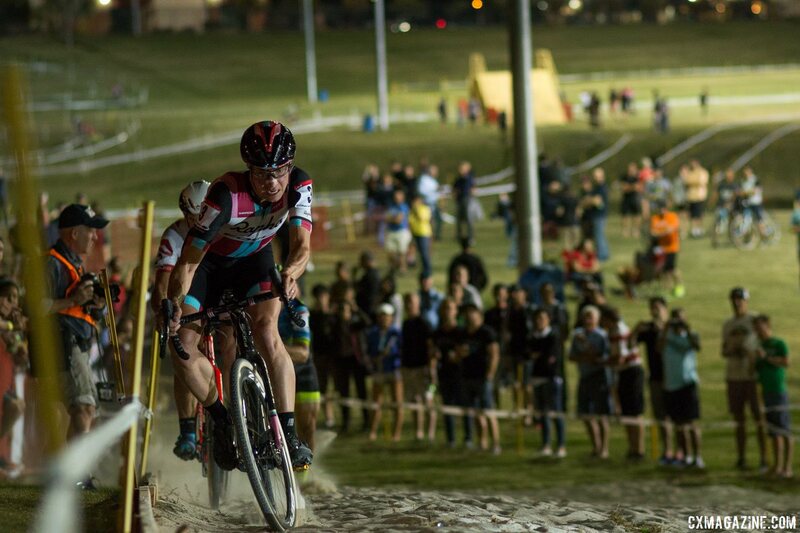 A live stream of the race is scheduled to be available via the FloBikes subscription service.